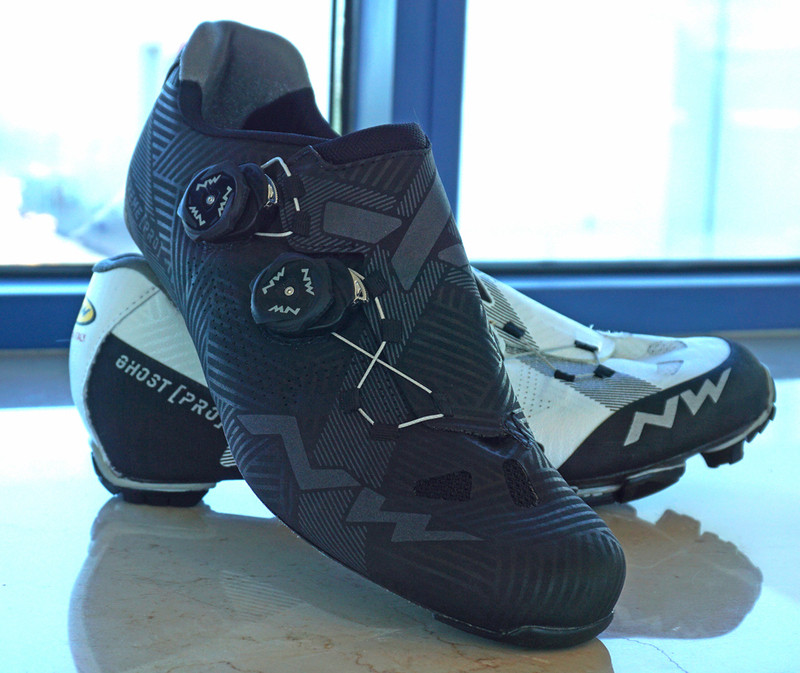 Interbike 2018 Gear: Northwave’s new Flat, Extreme and Ghost shoes, HideMyBell, Lezyne's new Mega C / XL GPS and T wrenches and WheelBuilder.com’s Prototype Spoke Calibration. 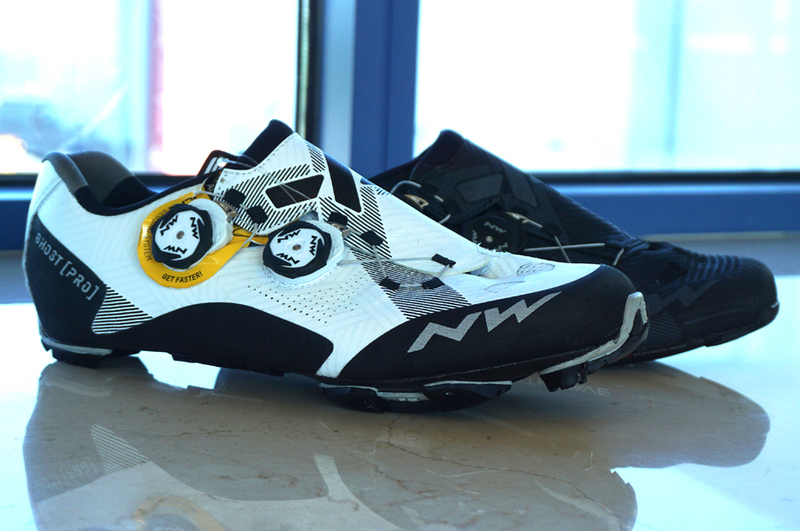 Northwave Shoes go flat-pedal specific with the Clan and Tribe models. 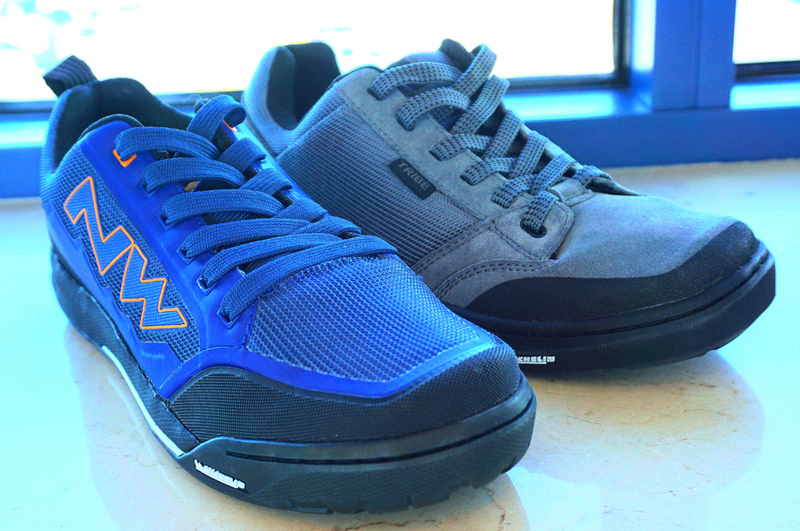 Both the Clan (Blue) and Tribe (Grey) have soles made of a Gecko rubber compounded pattern specifically designed with Micheline for high grip. The Clan has a MUCH stiffer sole with an internal TPU shank to resist both twist and heel-to-toe bending. This is also a bit more breathable and has some impact protection. The Tribe is much more flexible… (you can't bend the Clan like this). The Tribe does have this flex, but it’s still a relatively solid outsole that allows for good support and stability on the pedals. 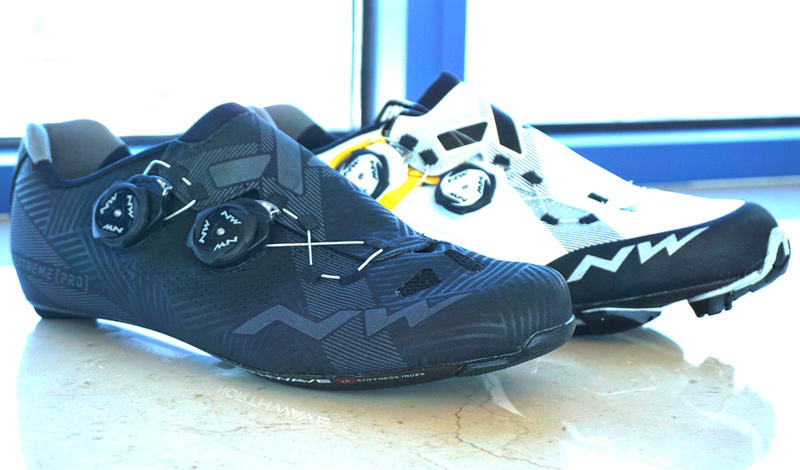 This shoe is easily more livable off the bike as well and the styling and padding reflect this broader use. 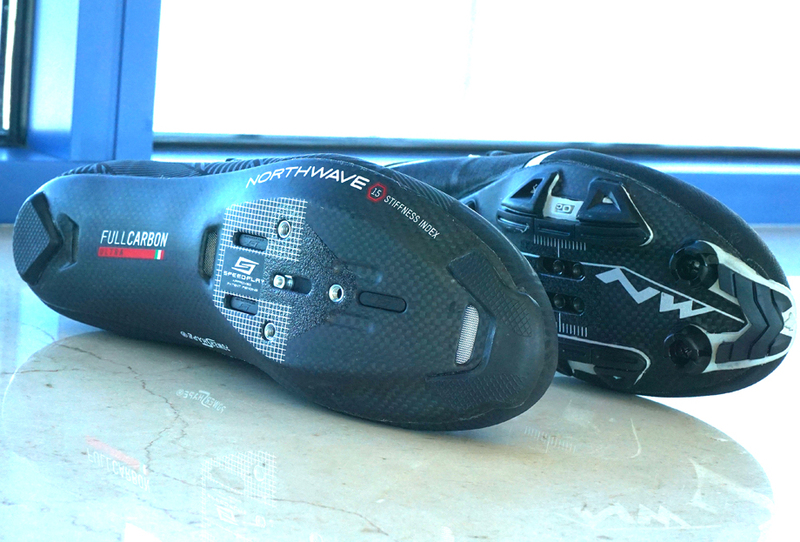 The Extreme Pro uses the “PowerShape” Carbon sole, meant to be the stiffest that Northwave have ever produced. 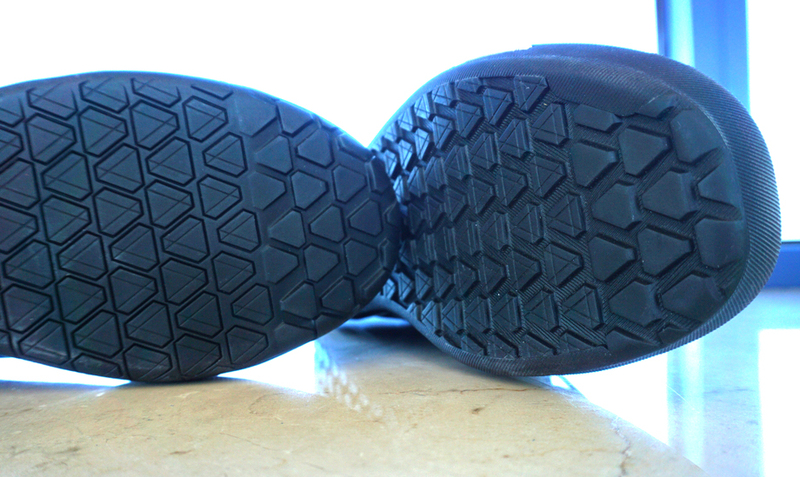 The sole also gets a shape tweak to hold your foot in place and better transfer power. The Ghost gets a Hyperlight sole with a double layer of Micheline Rubber. Very stiff and a load of grip. 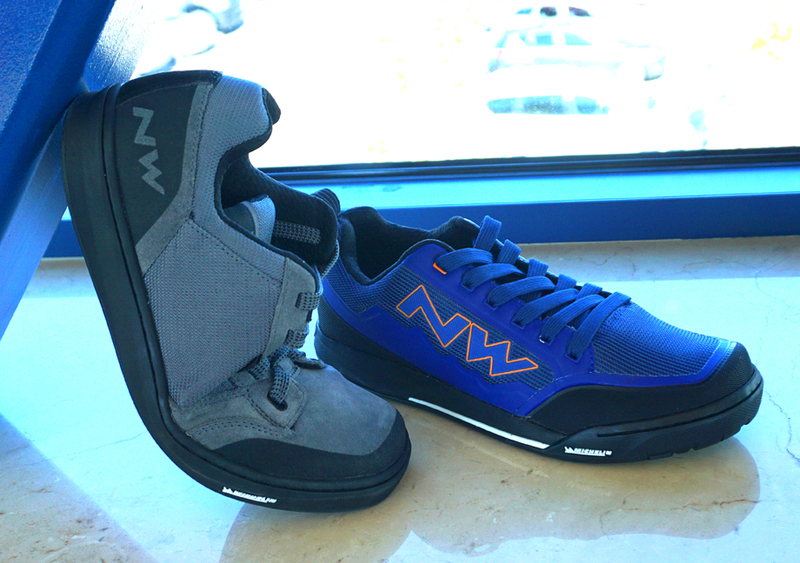 Both shoes use the double SLW2 dials and new fabric pattern to create the XFRAME 2 upper fit. The first Xframe system on the Extreme RR was very good and this ups the game with the second dial creating a more user-tunable fit with greater variability in tension between the top and middle-bottom closure section. Both shoes wrap around your foot with very even pressure. The Extreme Pro and Ghost Pro will Retail for $399. The Clan will roll out at $149 and the Tribe at $99.00. 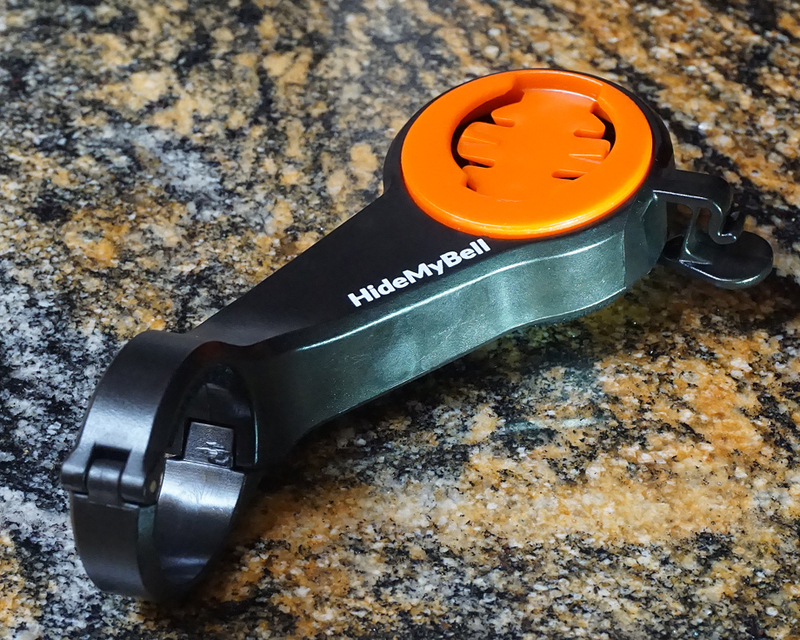 Hide My Bell’s “Regular” computer mount and Bell is a slick little combo . This is a Polymer out-front computer mount that is light (48 g) and made for 31.8 bars. There’s also a slot for an action cam or light. CloseTheGap make this product and have a few other designs in the oven (a shorty version and an Aerobar-stem combo unit). 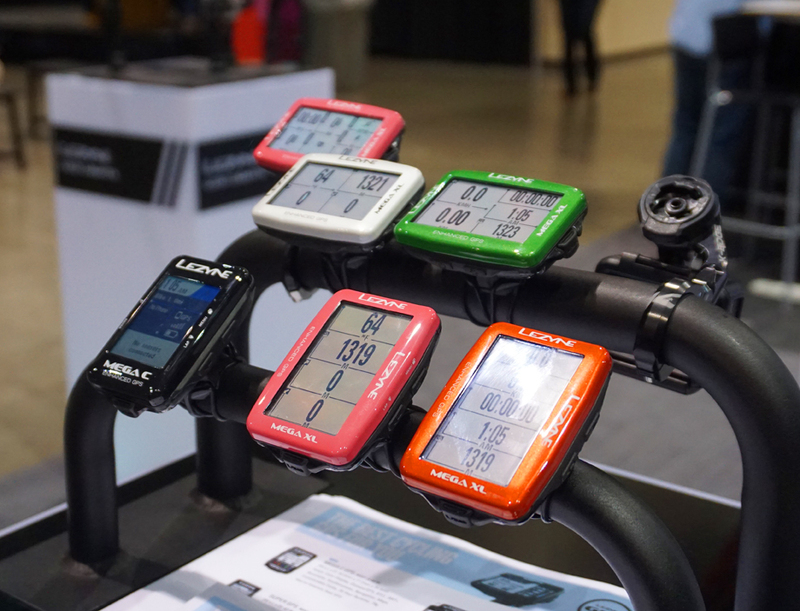 All are compatible with Wahoo/Mio/Polar/Garmin/Lezyne. 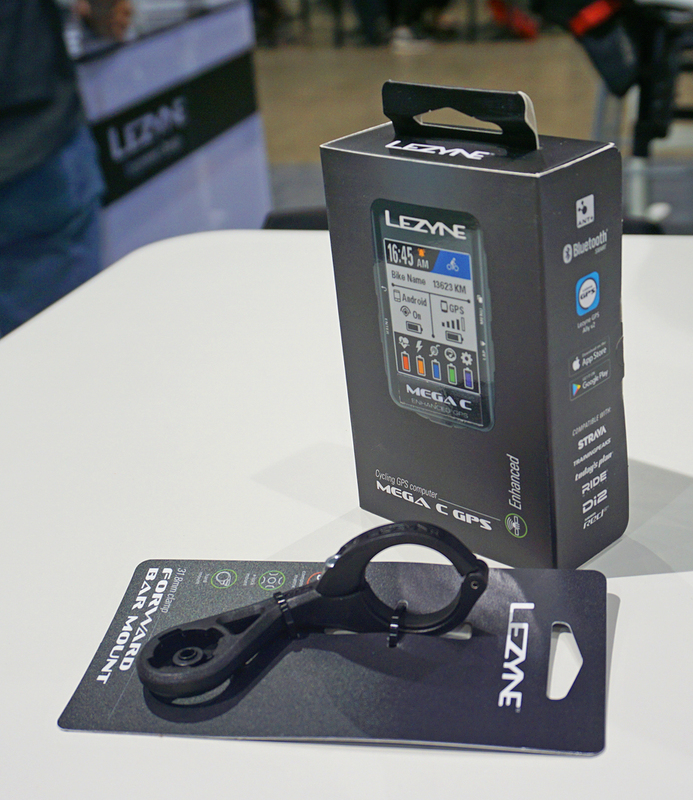 Part of a growing range of computers from Lezyne, the MEGA’s up the run Time (48 Hours for the XL/ 35 for the C) and are fairly feature packed with Glonass/GPS, Bluetooth LE/Ant+ (simultaneous), barometers, accelerometers, nav, maps and a slew of customizable fields. The MEGA C also has a color display which helps as the screen isn’t as relatively huge as the XL. The 32 hours of run time for a color screen with reasonably high resolution is good, as is the 800 hours of ride data storage. We’ll have more on the Mega-C over the winter, but they are available now for $199 ($299/Loaded Box w HR Flow, Cadence sensors, X Lock mount and Cable). 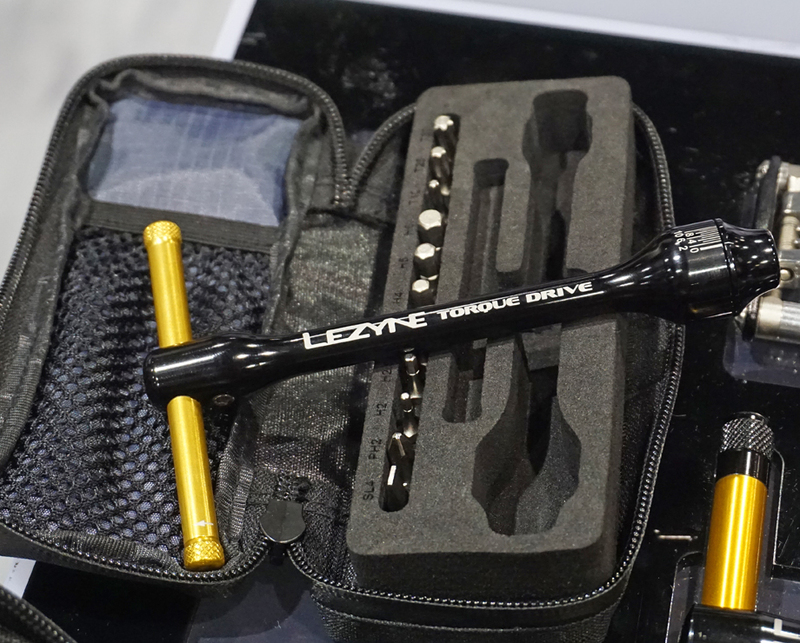 Lezyne also brought one of my favorite tool sets in their Torque Drive. 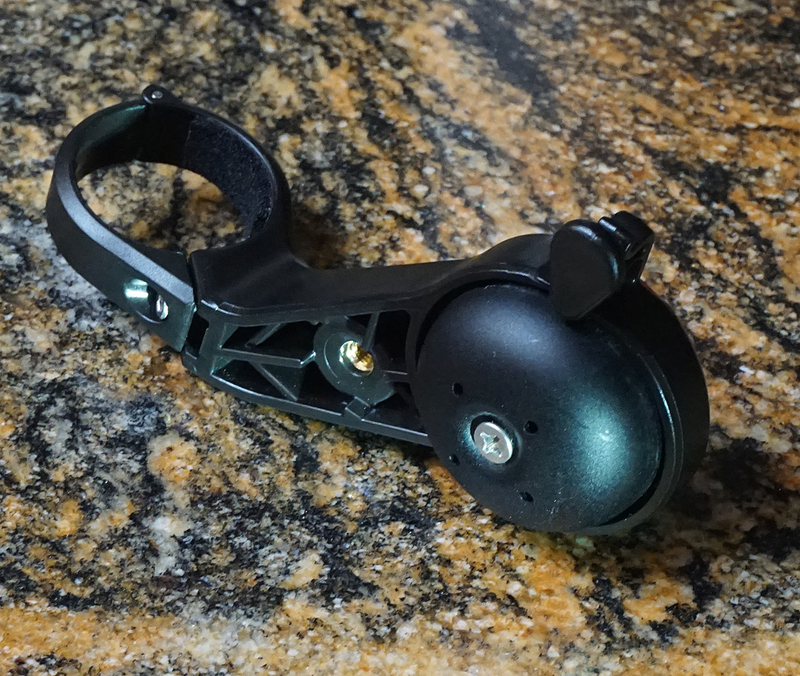 This is a machined aluminum handle and driveline that will reach most any place on a bike and features and adjustable torque head that runs from zero to 10 Nm. 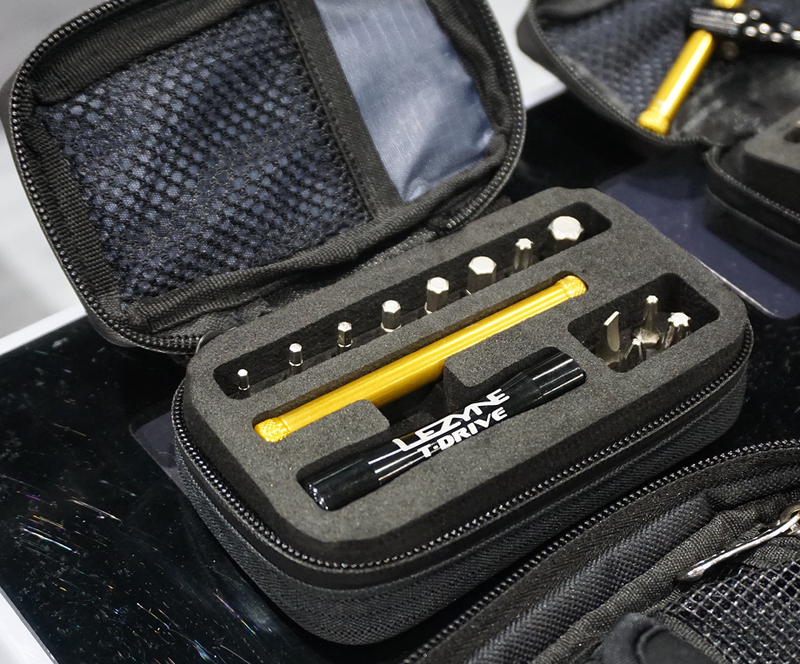 190 Grams, it comes stocked with 6 Hex Bits, three Torx bits, flat and Philips screw heads, all in a tidy case that will fit in a pocket (it will take up quite a bit of that pocket). But given the Torque version is just $49 bucks, you’re only saving 15 bones (all the same bits and similar case) on the non-Torque T drive, so just get the one that will keep you from screwing up your high-end parts. 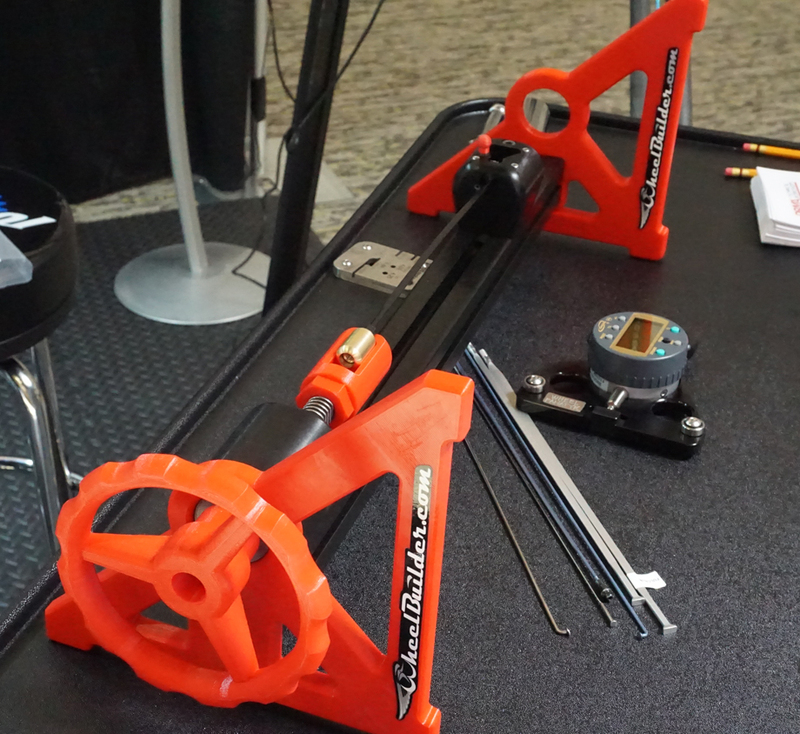 While most folks don’t have the chops to use it, one of the nicer bits on the floor was WheelBuilder.com’s Spoke Tension Calibrator prototype. 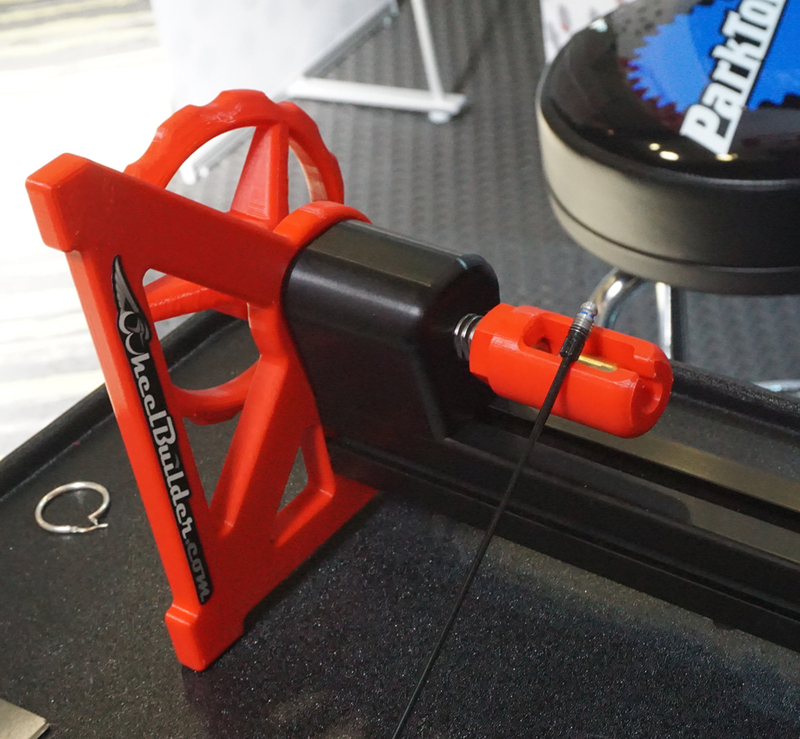 This is a pretty serious piece of hardware that will be well beyond most home-mechanics, but a version of this should be had by most any shop or quality wheel builder. 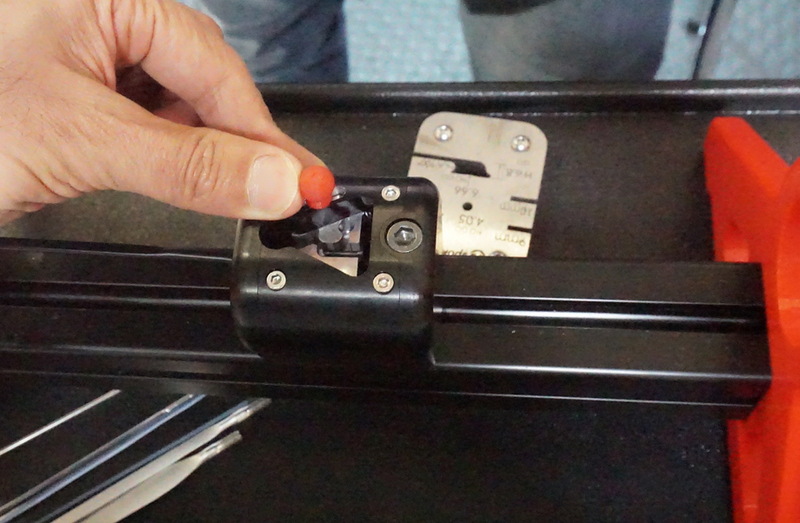 This unit is designed around a single clamping head that uses hardened tool steel gripping dies. The dies can be quickly opened and fit all Campagnolo, all Mavic, all J-bend and straight pull spokes, and Industry nine spokes. 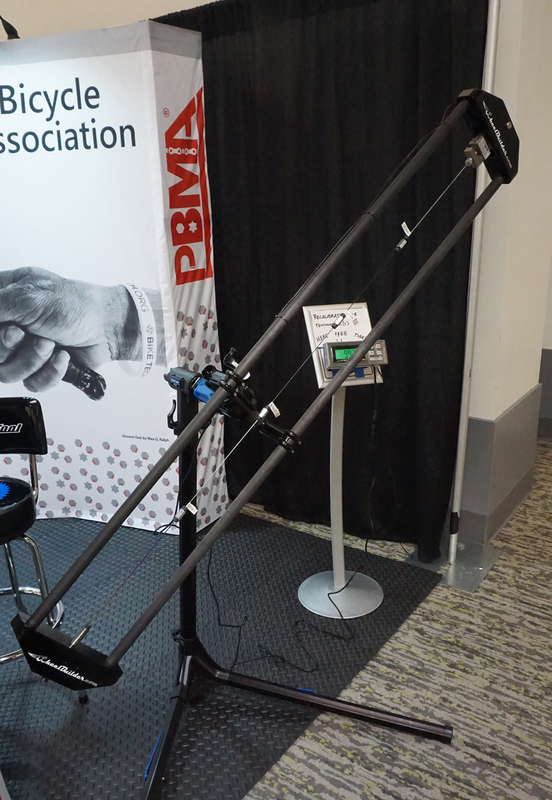 But then the goal here is to get an affordable calibration unit into the hands of the top-line builders and shops that actually need them. Thus the smaller and easier to use unit. Wheelbuilder.com are still putting together the details on these, so no retail or availability is ready. Wheelbuilder.com honcho Rich Sawiris has consulted on a LOT of projects with major manufacturers for everything from hub designs to integrated power measuring to wheel design, so they absolutely have the chops to finish this off.